What a great show last night. We started out with an almost full house and had a steady stream of people all night long. In all over 500 people took in all or part of this year's Festival. The best news is that we raised almost $4,000 for diabetes research. 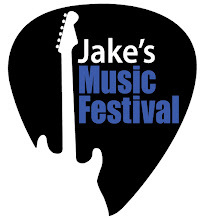 Thanks to everyone who participated and enjoy this slide show of Jake's Music Festival 2010.